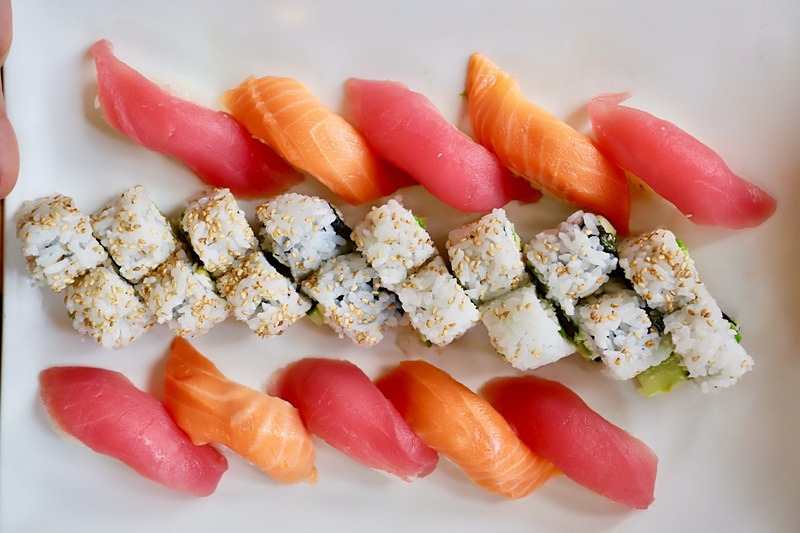 Have you always dreamed of making your own sushi? 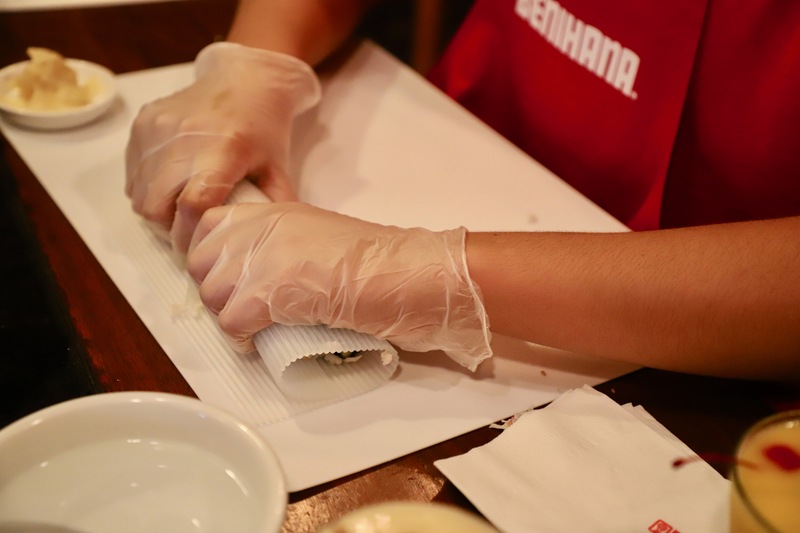 What if I told you that at Benihana, you could learn how to make sushi in less than an hour? 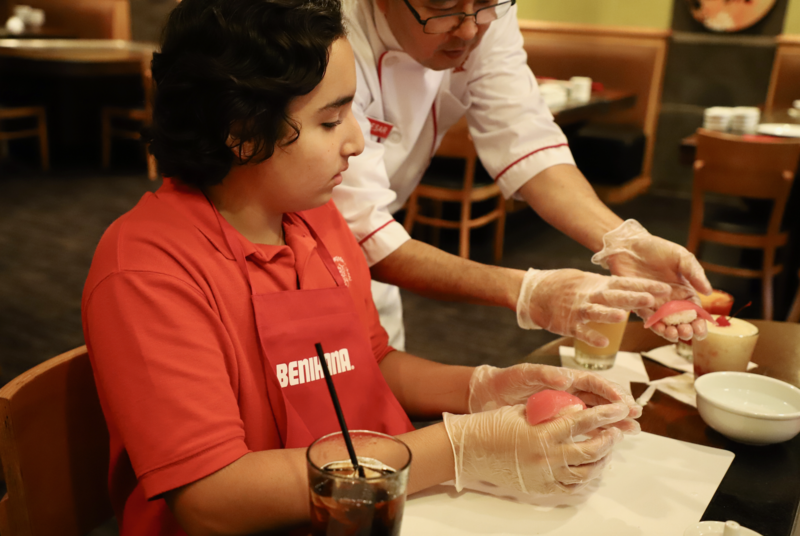 Benihana’s new Dojo Sushi class allows children to experience the art of sushi-making in a fun and interactive way. Although I am not considered a “child” anymore, I was able to attend the class with my little brother (as a chaperone, of course) and indulge in my own curiosities. Let me start off by saying that this is fun for the chaperones as well! While the class is a beginner’s course in sushi-making, aren’t we all beginners in the art of sushi? 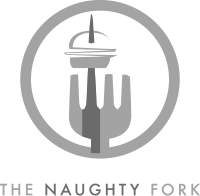 I can promise you this, the adults have just as much fun as the kids. 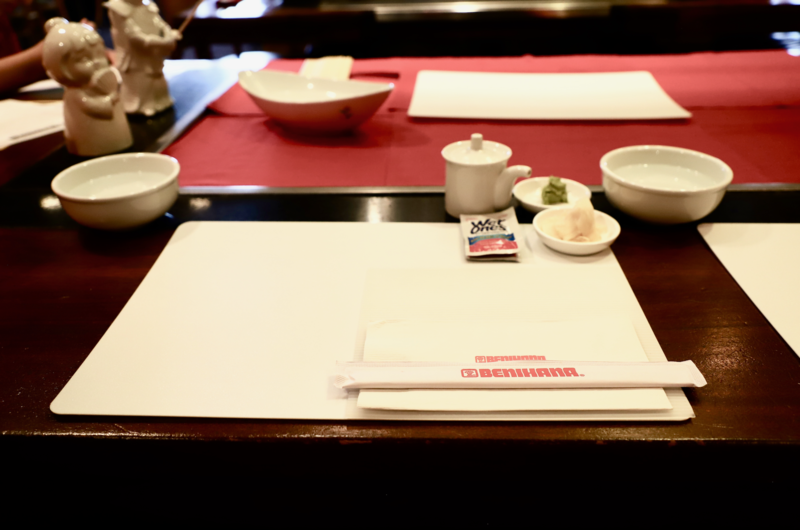 The experience takes place around the teppanyaki table, set up with the necessary sushi-making utensils. Before the class begins, they start with a few appetizers. 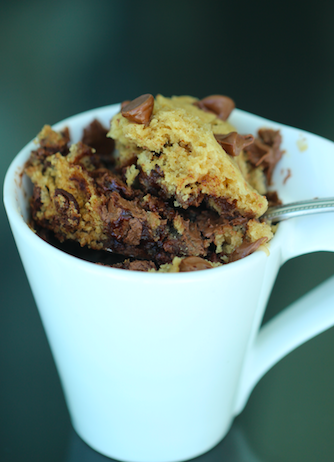 You can’t make food on an empty stomach, right? 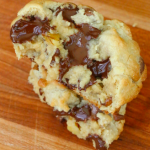 The teens are given colorful smoothies topped with the ever-so-popular maraschino cherry, and edamame coated in enough salt to cover each pod. 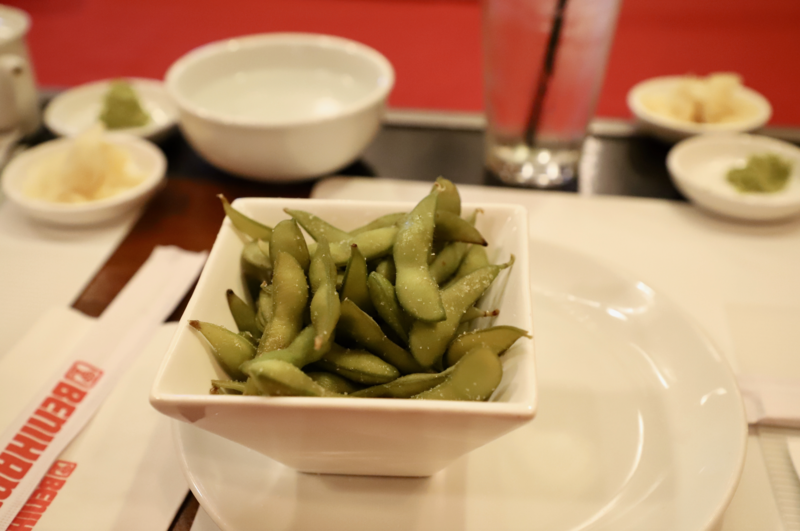 I’m not sure if you’ve ever noticed, but most sushi restaurants only top the bowl of edamame with a pinch of salt. Who knew you only had to properly coat each pod with salt to get teens to eat their veggies? 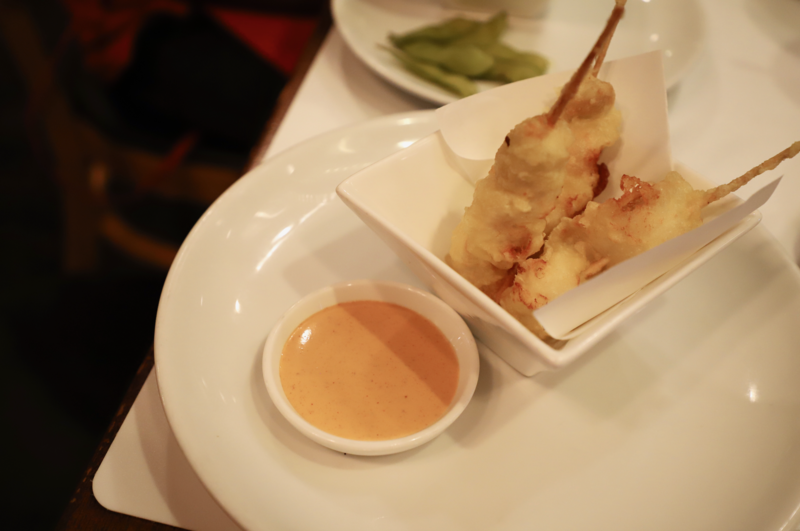 After the last edamame shell was emptied, the tempura chicken skewers were placed on the table. 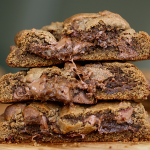 These were a fan favorite and were devoured pretty quickly. After appetizers were served, it was time for the main event. The sushi chef walked out to join the class and greeted everyone with a loud “Nǐ hǎo”. Before each teen was a plate of sushi rice, salmon and tuna sashimi, avocado and cucumber slices, and shredded crab. During the course, the teens made two different types of nigiri, and the classic California roll. As a child, the first sushi you usually try is the California roll which consists of crab, avocado, and cucumber. 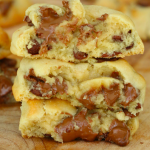 Its simplicity makes it easy to eat, but also very easy to make. The chef handed out the seaweed papers and demonstrated how to spread the rice evenly, and how to add the fillings neatly. 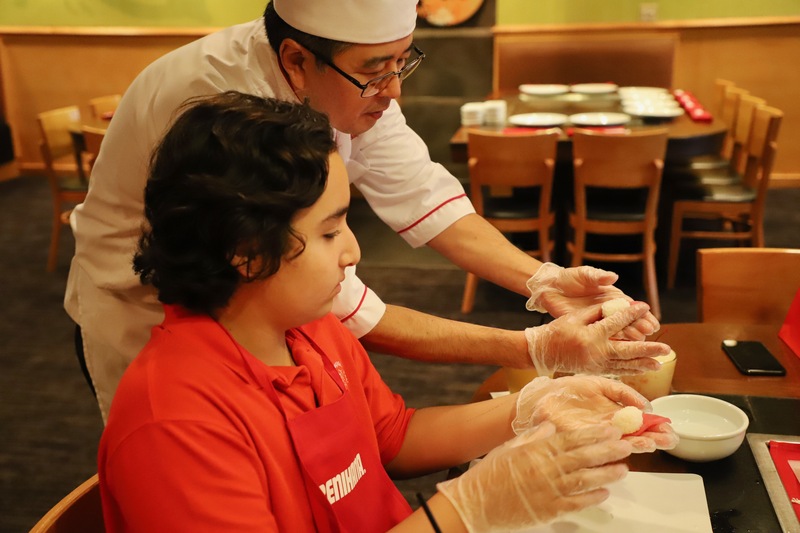 If you ever want to get your little brother to focus on something, take him to a sushi making course. I had never seen him so concentrated before. The rolling was the hardest part, but the chef made sure everyone’s’ roll looked professional. Most teens wanted to bring the roll home and show it to their family members, while others (like my brother) devoured the roll right away. After making the roll, it was time to make some nigiri. While nigiri is simply fish and rice, the chef explained a specific technique in shaping each piece. My brother was a pro at this and made me look like a need a few more classes (which I totally wouldn’t mind). Once the nigiri was done, it was time for a pat on the back and a certificate to prove just how great your sushi-making skills are. Everyone smiled from ear to ear with their certificate and took endless amounts of pictures. 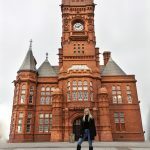 I think the best part of the experience is learning something new in a fun way. Why should you sit in a classroom and watch a video of sushi-making, when you can learn by making it yourself? Every teen had a blast, and I think the parents enjoyed themselves too! 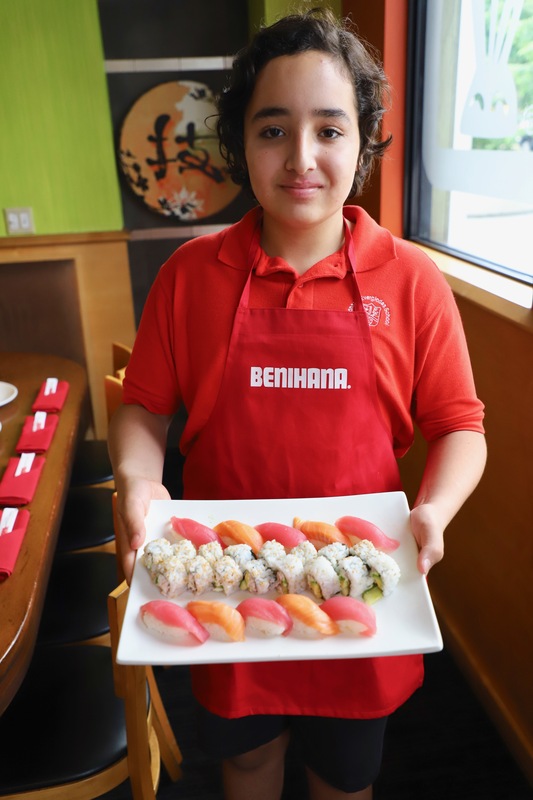 The classes are only $45 per teen, and include two appetizers, a drink, and two rolls (nigiri and California roll). 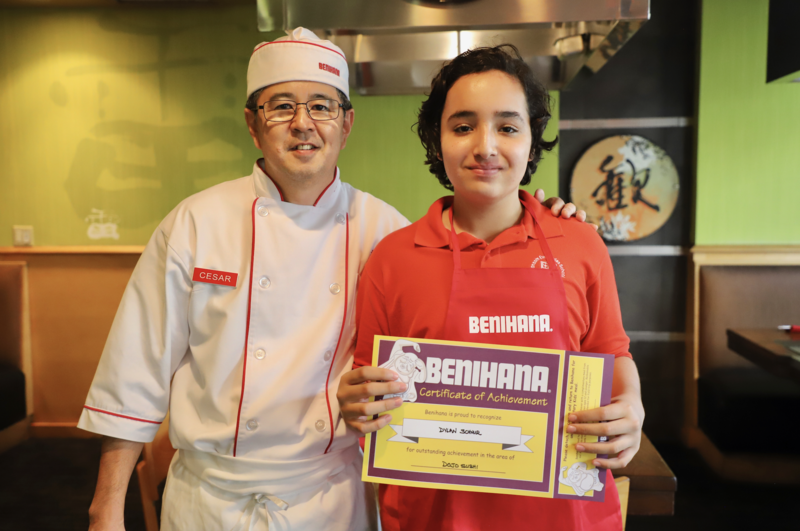 The Dojo Sushi is held are participating Benihana restaurants and can be viewed by visiting https://www.benihana.com/promotions/dojo-sushi/. The class is a great opportunity to bond with either your siblings or you teen so reserve your spot today and see what all the fuss is about!